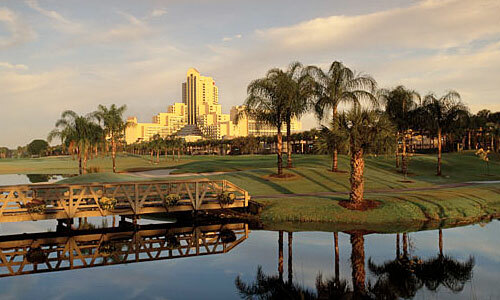 The Orlando Marriott World Center Resort Altamonte Springs, Florida December 16, 2010 — Star's Edge International, the corporation behind The Avatar Courses, has chosen the Orlando Marriott World Center to host its 21st annual 13-day workshop/seminar. The Avatar Wizard Course, which is the fifth and final section of the Avatar Materials, was first presented in 1991 and has grown every year. Many graduates rank it as the ultimate self-improvement experience in the world. "There is really nothing current to compare it with," said one attendee. According to Rand Shipley, an Avatar Wizard graduate, "Star's Edge is an organization that believes we can create a better world by raising human consciousness one person at a time. In alignment with this goal, they offer a non-denominational course (Avatar) that allows a person to reconnect with their true spiritual self. Students discover the source of their issues, problems, and concerns, and then learn ways to resolve and eliminate those issues, problems and concerns. Successful Avatar graduates gain the ability to create the life they want." There is no Harry Potter magic here, just a concentrated examination and experience of the elements of consciousness that make us human, and shape our civilizations. The focus is on responsible introspection, developing compassion, and learning to be of service to others. "Most of us want to improve our lives," said Harry Palmer, author of the Avatar materials. "Unfortunately, most of us are focused on trying to get someone else to do the job. Maybe if the government, or the banks, or our boss, or our spouse, would just do things differently, our lives would improve. That is the trap; life doesn't work that way. The truth is you have to work from the inside out. The only person you can really improve is YOU, but when you do that honestly, things around you improve as well." Every year thousands of students attend The Avatar Wizard Course. Sometimes the power of Wizard students amazes Palmer. "The gains people are making are profound. People are being more honest and taking broader responsibility. They are caring for each other, and they are healing some major issues. It is an old wisdom that the best way to handle one's own suffering is to act with the intention to relieve the suffering of others." ABOUT STAR'S EDGE INTERNATIONAL - Star's Edge International publishes books, videos, online materials, and a series of experiential courses that guide people into and through transformative experiences. 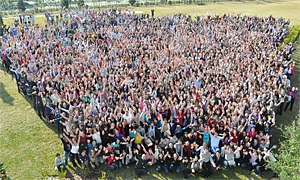 The company was founded in 1986 and operates worldwide. Avatar® and Star's Edge International® are registered trademarks of Star's Edge, Inc.